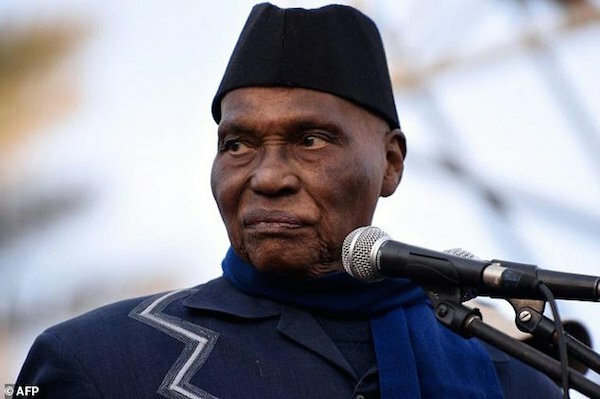 Senegal’s former president Abdoulaye Wade, aged 91, will head a list of opposition candidates for parliament in an election to take place on July 30, according to aides. The announcement was made on Monday night after a broad opposition coalition of more than 40 parties broke up, said supporters of Wade, who ruled the west African country from 2000 to 2012. Some movements and associations in the coalition backed the mayor of Dakar, Khalifa Sall, who was jailed in March on suspicion of embezzlement but will still top a separate list of candidates, according to his supporters. The deadline for submitting candidates in the poll expires overnight Tuesday. There is no age limit on people standing for parliament. A parliamentary victory for the opposition to President Macky Sall would give Wade the means to obtain an amnesty for his son, Karim, who enjoyed considerable ministerial powers under his father, but was sentenced to six years in prison in 2015. Karim Wade was also ordered to pay a fine of more than 210 million euros for “illicit enrichment”. He received a presidential pardon in June 2016 after a total of more than three years and now lives abroad. An amnesty would lift any doubts over his eligibility in politics, observers said. The opposition coalition first came together in a bid to end the control of parliament by a coalition loyal to the head of state and force Sall to share power with newly elected political rivals. The last-minute rift came because of differences between supporters of Wade and those of Khalifa Sall over who should head the list of candidates to be presented to voters. In the previous parliamentary poll in 2012, the United in Hope coalition backing President Sall won an outright majority in a parliament of 150 seats. July’s election will see a further 15 deputies named to the National Assembly representing the Senegalese diaspora, under a constitutional amendment passed in March 2016.